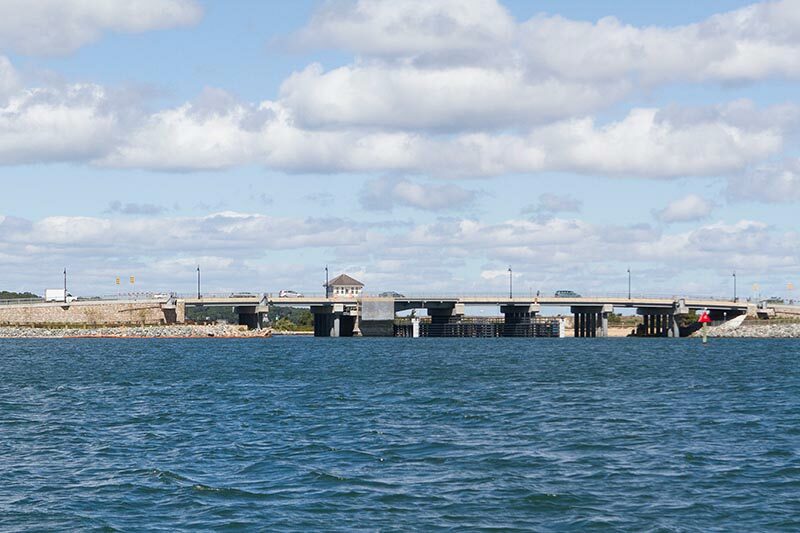 The engineering firm that designed the Lagoon drawbridge has won a 2017 Bronze Engineering Excellence Award from the American Council of Engineering Companies of Massachusetts, according to a press release. Parsons, which has offices in Billerica, Boston, Braintree and Lexington, was recognized for the replacement bridge, which connects Tisbury and Oak Bluffs. The $40 million drawbridge opened to traffic in 2015. It replaced a bridge built in 1935. The Beach Road over Lagoon Pond project involved replacement of the bascule bridge carrying Beach Road over Lagoon Pond, the release states. The design took into account a new crossing for roadway traffic, safety issues for mariners related to restricted sight lines in the channel, and reduction in the number of bridge openings. Parsons’ solution was to provide a slightly higher profile, with the bascule leaf shifted 50 feet to the west, the release states. The bascule includes an innovative rotating trunnion girder to allow a greater angle of opening, according to the release. “The winning projects exemplify ingenuity and professionalism, and represent the breadth of engineering’s contribution to our everyday lives,” Mark Bartlett, president of council and a senior associate of Stantec Inc., said.